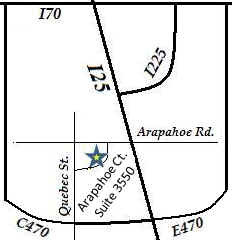 When you are cited for driving under the influence, Life Support Behavioral Institute located in Centennial, Colorado just off the I25 and Arapahoe is ADAD Licensed to provide Colorado DUI Classes Denver DWI Class Drunk Driving Classes & Alcohol Education Classes Level 1 & Level 2 for the greater Denver, Colorado area, including Greenwood Village, Englewood, Littleton, Lone Tree, Highlands Ranch, Parker and Castle Rock. 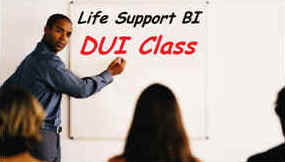 Call LSBI To Start Your Colorado DUI Classes Denver DWI Class Level 1 or Level 2 Today! If you were cited for driving under the influence our drunk driving classes and alcohol education classes will get you back on the road safely. To learn more about LSBI's Colorado DUI Classes Denver DWI Class Level 1 or Level 2, call LSBI at (888) 516-5995 Ext 3, or email our Colorado DUI Class Coordinator at DUICoordinator@LifeSupportInstitute.com to sign up for LSBI's drunk driving classes and alcohol education classes Level 1 or Level 2 today! Life Support Behavioral Institute has multiple Level III Certified Addiction Counselors with experience providing both Education and Therapy Colorado DUI Classes Denver DWI Class Level 1 & Level 2 Programs. Copyright © 2008 Life Support Behavioral Institute, Inc.